German Henschel-33 3-tonn 6x4 truck wich was introduced as early as in 1928, was too heavy and already quite obsolete by the start of WWII, but yet it became a real work-horse of the war. Heavy conditions of military exploitation had often demanded improvements of the construction. 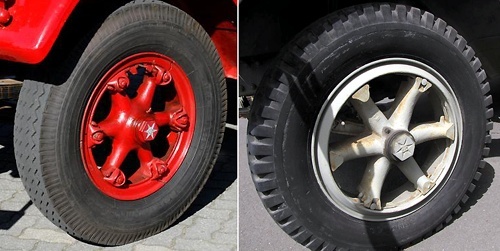 Thus, the original 2-nuts front wheels prooved to be too weak, so it was replaced with the reinforced 6-nuts front wheels during the second half of the war. 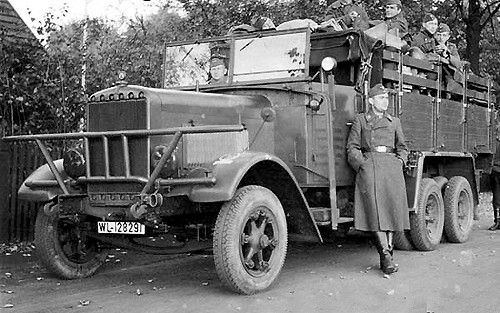 Henschel-33D truck with the 6-nuts, late type, commercial pattern, as presented in this kit. 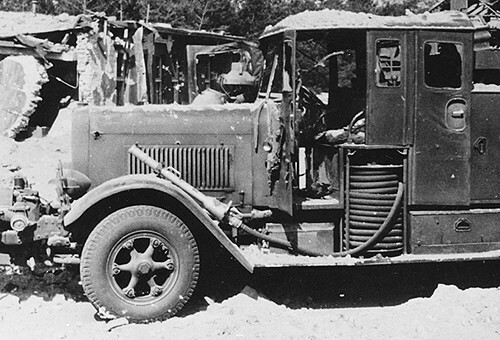 The Luftwaffe TLS Fire Engine on the basis of the Henschel-33FA1 truck with the late type wheels.